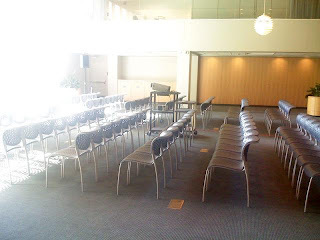 Howie Rhee's Blog: Kirby Reading Room setup for lecture, screen is on left by windows. High tables for networking are far right. Kirby Reading Room setup for lecture, screen is on left by windows. High tables for networking are far right.